THESE FORMNOTES REFLECT INFORMATION RECEIVED THROUGH SEPT. 24, 2018. PLEASE SEND NEWS/PHOTOS OF YOURSELF OR OTHER ALUMNI FOR THESE PAGES TO: FORMNOTES EDITOR, ALUMNI HORAE, ST. PAUL’S SCHOOL, 325 PLEASANT STREET, CONCORD, N.H. 03301 OR ALUMNI@SPS.EDU. After working in Chicago for the past four years, Emily Laackman is back in New Hampshire to pursue her M.B.A. at Tuck with fellow Paulies Olivia Moore ’09 and John O’Brien ’08. Happy to report I am moving to Boston at the end of the year to get my master’s in public health in health management at Harvard T.H. Chan School of Public Health. Sarah “Martie” Curran married Alberto Arnedo Ruiz in Ithaca, N.Y., on July 13, 2018. Paulies in attendance included Grace Cullinan ’11, Andrew Clark, Enrique Granados, Ed Harding ’54, Taylor Poulos, Woody Winmill, and Kate Borst. 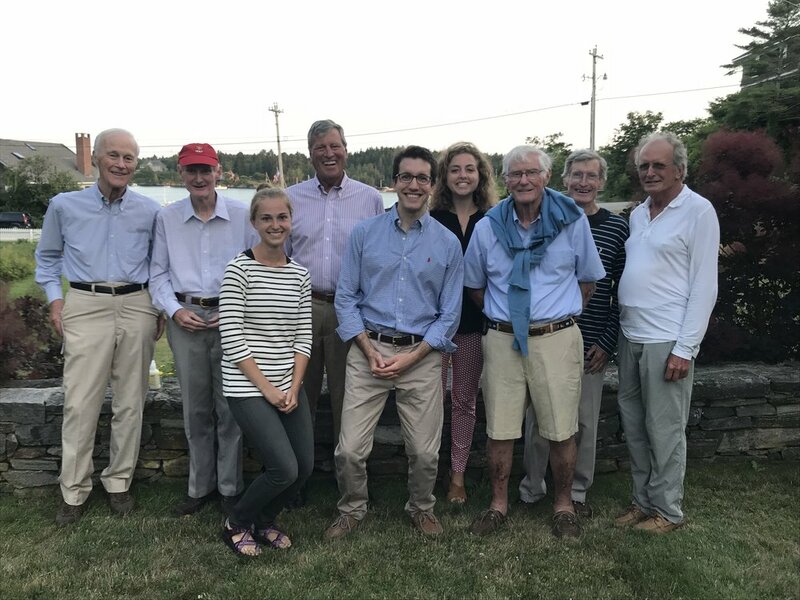 (L. to r.) Jim Terry ’49, David Parsons ’67, Ali Carter ’11, Bill Kennedy ’65, Nate Sans ’10, Zoe Williams ’10, Doug Coleman ’45, Herb Parsons ’55, and Peter Parsons ’59 at an SPS gathering in North Haven, Maine. Mo Cheston ’88 and Davis Hammond ’55 were also in attendance. 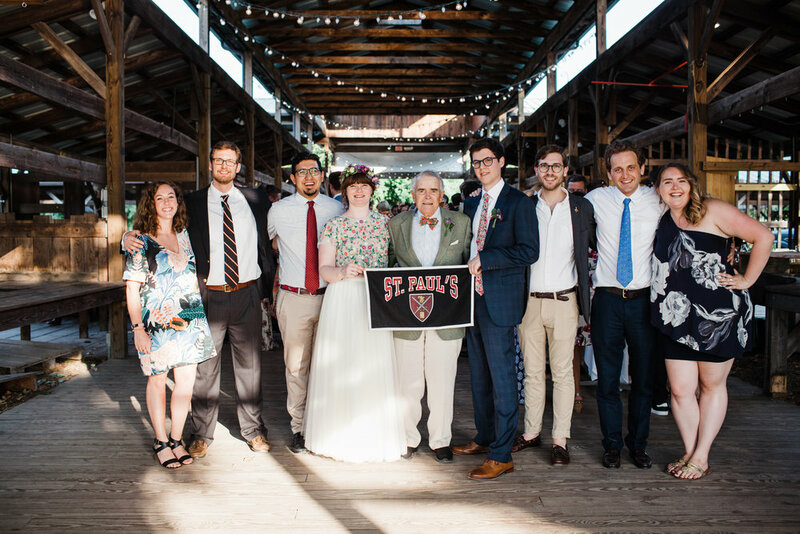 Sarah (Martie) Curran ’12 married Alberto Arnedo Ruiz in Ithaca, N.Y., on July 13, 2018, alongside (l. to r.) Grace Cullinan ’11, Andrew Clark ’12, Enrique Granados ’12, the bride, Ed Harding ’54, the groom, Taylor Poulos ’12, Woody Winmill ’12, and Kate Borst ’12. (L. to r.) Jacob Ruttenberg ’13, Ernesto Cruz ’72, Eric Ruttenberg ’74, and Pete McBride ’89 golfing in Colorado. 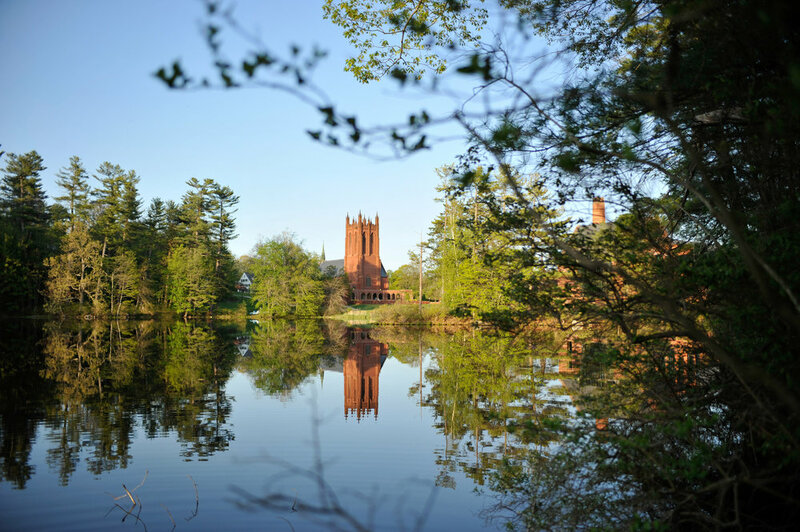 Anniversary Weekend marked the five-year Reunion for the Form of 2013. Classmates reconnected on the beautiful grounds of SPS. Later in the summer, Jonathan Linen and Cortland Weatherley-White hosted a house-warming at their new apartment in Manhattan’s West Village. Beth Anne George traveled to the Society of Prevention Research’s annual meeting in Washington, D.C., and presented her research on mindfulness interventions for college student mental health, which received an award as an Abstract of Distinction. Deirdre Collins is embarking on her year as a Rhodes Scholar to pursue a master’s in environmental change and management at Hertford College, Oxford. In September, Marciana Longley married longtime sweetheart, Eben Lamson. The two reside in New London, N.H. Visitors welcome. Tay Tantivirun ’14 (l.) visiting Jade Thomas ’16 during his bike trip from Seattle to Michigan. An update from Tay Tantivirun: “After graduating from college, I thought a lot about my passions and what I love – making people smile and cycling to far and exciting places. Just like Forrest Gump, I felt the urge to travel across the continent and explore all this country has to offer, while my student visa is still valid. I decided to embark on a self-supported bikepacking trip from Seattle to Ann Arbor, Mich., about 2,700 miles. My trip started August 19 and am planning to arrive in Michigan within 30-40 days. At the same time, I am raising money for Kids Action for Kids, an organization that raises funds to finance surgeries for children born with cleft lips and palates in Thailand and Myanmar. For information and updates, visit: www.gofundme.com/cross-country-cycling-for-smiles. I made it through the Cascades and the Rockies, as well as Yellowstone National Park. Recently, I finished the last big climb through the Bighorn Mountains in Wyoming and I’m on my way to Mount Rushmore in South Dakota. This journey has taken me through myriad emotions, from complete exhaustion to pure elation. Throughout the trip, I learned a great deal of patience and perseverance. I can’t recall the number of times I had to stop to fix a flat (more than 10) or come up with my own contraptions when anything breaks down. Thank you, super glue, electrical tape, and zip ties! I’m learning to appreciate the little things in life – a warm shower after cycling in the freezing rain or the company of another human being, after days of talking to myself. Mostly, I am constantly being pushed beyond my comfort zone, digging deep in the face of adversity, and engaging in difficult yet important dialogues with people with different backgrounds, beliefs, and viewpoints. Mary Elmore DeMott traveled from Vanderbilt to Tuscaloosa, Ala., and enjoyed a fundraiser for Black Warrior Riverkeeper, led by Charles Scribner ’00. “Celebrating Nature through Art” at Harrison Galleries featured nature photography from the “Flowers for Mom” series by Mary Elmore’s mother, Elmore DeMott, who serves SPS with Scribner on the board of Alabama’s Greene Scholarship. Mary Elmore DeMott ’16 (l.) with Charles Scribner ’00 in Tuscaloosa, Ala.
Mary Eliot Stone ’17 in Nepal.